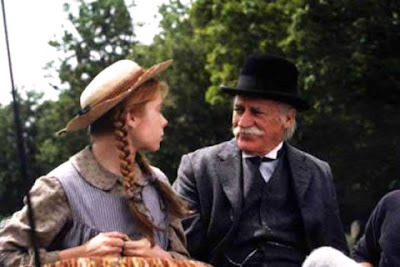 One of my favourite nostalgic movies is 'Anne of Green Gables'. It's such a lovely, innocent, spirited and feel good story. 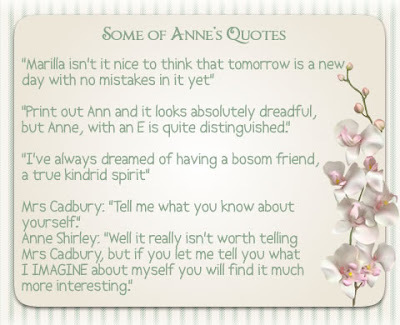 I watched it again last year and compiled some of my Anne's quotes that are classic. 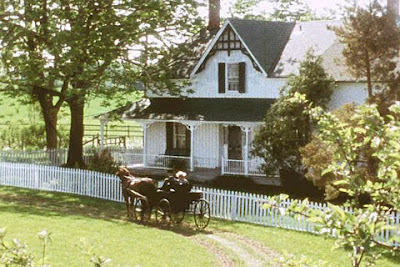 A picture of the tranquil setting of the homestead where Anne grew up in the 1985 version of the movie. I loved the relationship that developed between Anne and Matthew right from their first encounter. In a review I read someone summed up Anne's personality quite well. Did you enjoy that movie too? I so loved this and haven't seen it since, I must try to find a copy to watch it again but first I think I would like to read the books. I have had them on my book shelf for years and have never read them. 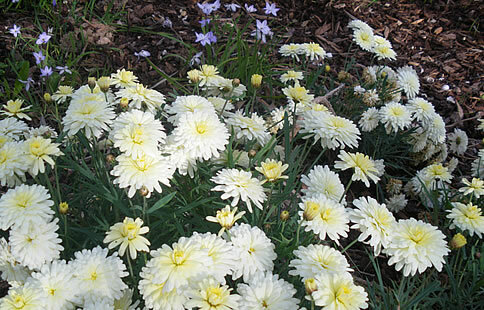 A couple of months back I watched this movie,I just love the gardens etc. I enjoyed both the movie and the books, I downloaded the first book onto my ipad so I can re-read it.